Founded in 1768, Chateau Berliquet is one of the oldest estates in St. Emilion. Certainly, Chateau Berliquet has the honor of being one of the first St. Emilion estates to sell their wine under their own name. In 1784, when wines were often sold as Saint Emilion, or just Bordeaux, Chateau Berliquet was already selling wine with their property name attached. 2007 marked the debut vintage for the dynamic duo of Nicolas Thienpont and Stéphane Derenoncourt at Chateau Berliquet as their consultants. However, Cyrille Thienpont was placed in charge and called most of the shots when it came to the winemaking at the property. Starting with the 2009 vintage, Chateau Berliquet began using optical sorting at their Saint Emilion estate. They also recently purchased two new back-to-back sorting tables and increased the number of vats in their cellars to allow the estate to vinify on a block-by-block and grape varietal by varietal basis. All of this work and attention really started to make a difference in the quality of wine being produced at Chateau Berliquet starting with the 2009 vintage. In July 2017, everything changed with Patrick Lesquin and Jerome de Lesquen. sold Chateau Berliquet to the Wertheimer brothers of the Chanel Group. This was a smart purchase as the Chanel Group already owned the neighboring vineyard, Chateau Canon, as well as Chateau Rauzan Segla in Margaux. The 9 hectare, Right Bank vineyard of Chateau Berliquet is planted to 70% Merlot, 25% Cabernet Franc and 5% Cabernet Sauvignon. The terroir is clay, chalk and limestone soils. The vineyard has a vine density of 6,000 vines per hectare. The vines are old, with an impressive average vine age of about 40 years. The vineyard is one large, single block of vines. But the level of quality in the soil varies widely here. Their closest neighboring vineyard is Chateau Canon and they are also not far from Chateau Angelus on the Magdelaine plateau. The variances in the terroir can range, depending the specific parcel, which explains the lackluster performance of the wine until the 2015 vintage. Their best parcels are on the higher elevations on the limestone plateau. Over the past few years, the estate has been conducting a serious reworking of their vineyards starting with replanting the sections and vines that were previously planted on the wrong rootstocks for their terroir. To produce the wine of Chateau Berliquet, whole berry fermentation takes place in a combination of temperature controlled, stainless steel vats and cement tanks with a 30-day maceration. Pigeages and malolactic fermentation are conducted in French oak barrels. Starting with the 2015 vintage, 15% of the grapes were whole cluster vinified, meaning a portion of the harvest was fermented with their stems intact. 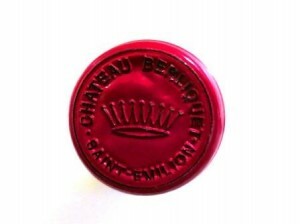 The wine of Chateau Berliquet is then aged in 50% new, French oak barrels for an average of 15 months prior to bottling. The first six months of aging is done with the wine on its lees. On average, in total, close to 3,500 cases of wine are produced at Chateau Berliquet each year. There is a second wine, Les Ailes de Berliquet. Chateau Berliquet is much better with at least 7-9 years of aging in good vintages. Young vintages can be decanted for 1-2 hours, or more. This allows the wine to soften and open its perfume. Older vintages might need very little decanting, just enough to remove the sediment. 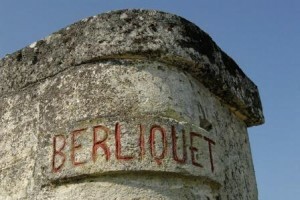 Chateau Berliquet offers its best drinking and should reach peak maturity between 9-20 years of age after the vintage. Chateau Berliquet is best served at 15.5 degrees Celsius, 60 degrees Fahrenheit. The cool, almost cellar temperature gives the wine more freshness and lift. Chateau Berliquet is best served with all types of classic meat dishes, veal, pork, beef, lamb, duck, game, roast chicken, roasted, braised and grilled dishes. Chateau Berliquet is a perfect match with Asian dishes, hearty fish courses like tuna, mushrooms and pasta as well as cheese. Chateau Berliquet is a Saint Emilion property to keep track of, as they are clearly striving to produce the best wine possible and have a spare no expense mentality. The progress can be seen in their wines over the past few years. In fact, while the 2009 and 2010 were nice wines, things really took a big step forward here with the 2015 Berliquet, which is a truly, beautiful wine. For my taste, the 2016 is even better and it is clearly the best wine ever produced at the estate! However, with the recent sale of the vineyard in 2017, the long term future of the estate is not known yet. Medium/full bodied with sweet, juicy plums, a fervent dollop of minerality and a dazzling plummy endnote, the wine is made from blending 70% Merlot with 30% Cabernet Franc. Lilies and juicy plum scents are followed by a lushly textured, polished, sweet, fresh earthy mix of dark red pit fruits. The freshness and fruit really linger. It is going to be fun to compare the 2015 and 2016 Berliquet -- both strong years. I lean to the latter year, but I cannot decide which vintage is better. This wine was made from blend of 75% Merlot and 25% Cabernet Franc, reaching 14.3% alcohol with a pH of 3.5. Red plum cherry and tobacco scents come quickly, Medium bodied, floral, forward and easy drinking. Not overly complicated, but it's quite charming and already fun to drink. A few years in the cellar will add more nuance, and perhaps a bit more depth. But this is not a wine to make old bones with. Medium bodied, light in color, with a fresh, spicy, red fruit and thyme core that needs to be tasted early in its life. Red and black plums, espresso and earthy notes are all over the nose. On the palate, the wine is soft, with gentle, tannins and sweet, black raspberries in the finish. Medium bodied, with a licorice and plum personality, the wine will be best in its easy drinking youth. Earthy scents, plums and stone work well with the mineral driven, dark berry finish, but the tannins are a bit dry and severe. With a final blend of 70% Merlot, 25% Cabernet Franc and 5% Cabernet Sauvignon, the wine opens with floral, licorice, spice and sweet black cherry aromas. Soft and accessible, the wine ends with fennel and plums. Bottled June 1, the wine displayed a nose of licorice, coffee, sweet jammy black cherries and spice. The wine ends with a dark cherry finish with hints of green tannins. Well made, correct, medium bodied, with perhaps a bit too much oak for the level of red, crisp, mineral driven, spicy, fruit, this is already easy to drink. Surprisingly firm in character, with a more interesting experience on the stony, earthy, thyme and plum nose, than on the strict, bright, red fruit palate, this is not a wine for long term aging. Medium bodied, fresh, easy drinking, soft, cherry and red berry dominated wine that is showing well today. There is no reason to age this any longer. Wet forest floor and plum pie in the nose, this fully mature, light wine requires drinking sooner than later before the remaining fruit dries out. Light in color, with cooked berry notes, the wine ends with a hint of strawberry in the declining finish. Fully mature, the wine is medium bodied, elegant and soft, with nuances of truffle, smoke, tobacco, thyme, and cherries. There is a fresh quality to the fruit, that is present from start to finish. This is not a wine to hold for further development as the fruit is just starting to recede.